December 5, 2017: The entirety of this ecological reserve was burned over by the 2017 wildfires. Narcosli Lake Ecological Reserve was established to preserve a shallow, productive interior lake and adjacent wetland habitats for research proposals. 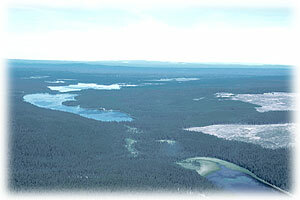 The online Purpose Statement for this Ecological Reserve is now available.